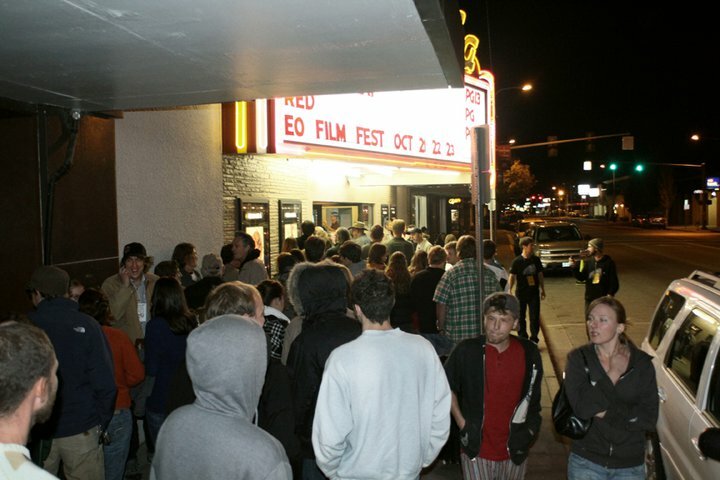 The 2011 Eastern Oregon Film Festival is starting the countdown. Festival passes are now available, sponsoring opportunities are being finalized, submissions are closed and the programmers are smiling. Check out the offerings and information below – get your pass (they will go fast) and stay tuned as the music line-up starts spilling out. FESTIVAL FRIENDS: HERE’S YOUR OPPORTUNITY! Festival dates for 2011 are October 20, 21, & 22 in downtown La Grande, Oregon. All films are screened at the Granada Theatre and after parties, for all 3 nights, will be held at various downtown venues. EOFF is still seeking additional sponsors to assist both financially and with in-kind services for this year’s event. To see how your business or organization can help, visit our sponsorship opportunities page listed above. 2011 EOFF MUSIC LINE-UP RELEASE: Eastern Oregon Film Festival will release our full list of 2011 official music selections shortly. Keep an eye on the website and our various social streams for updates. Eastern Oregon Film Festival is a non-profit organization dedicated to creating a cinematic experience in Eastern Oregon that promotes discovery, entertainment, and education via artistic exhibition and viewership. Through the mediums of independent film and music we aim to expand the cultural experience within our region. Eastern Oregon Film Festival had a tremendous 2010 year screening 20 films, showcasing 4 bands, and having a heck of a lot of fun. The festival reached out to filmmakers across the globe and was blessed by the participation of such filmmakers as Matthew Porterfield (Putty Hill), Jessica Oreck (Beetle Queen Conquers Tokyo), Kentucker Audley (Open Five) and many more. Portland, Oregon’s “Yeah Great Fine”, and Boise’s “Finn Riggins” & “Hillfolk Noir” blessed last year’s stages and were accompanied by local musicians Shaun Daniel and Sons of Guns for 3 nights of after hour gatherings. Next Great Sponsors, Granting Successes, Donations, & Participation = How we make it happen!